Brothers Mike and Stan Zappa have made a killing this year on the unlikeliest of investments -- Hatchimals. 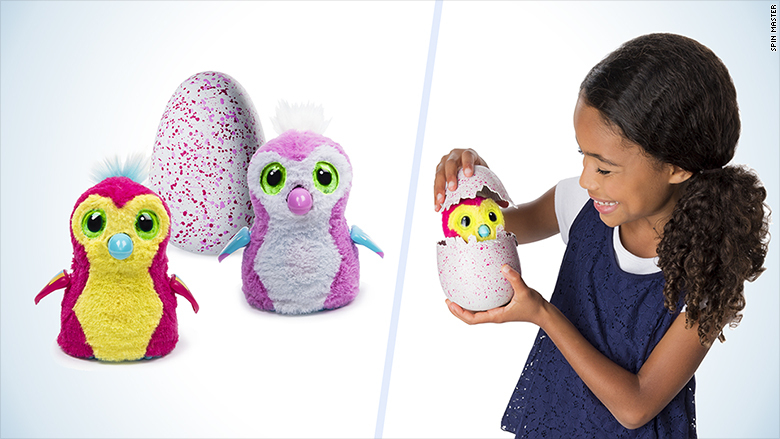 Hatchimals are pegged to be this year's most-wanted toy. They are little furry interactive creatures living inside a large hard-shelled egg. Their coolest feature is they self-hatch, breaking through the shell after a little bit of coaxing and cajoling. 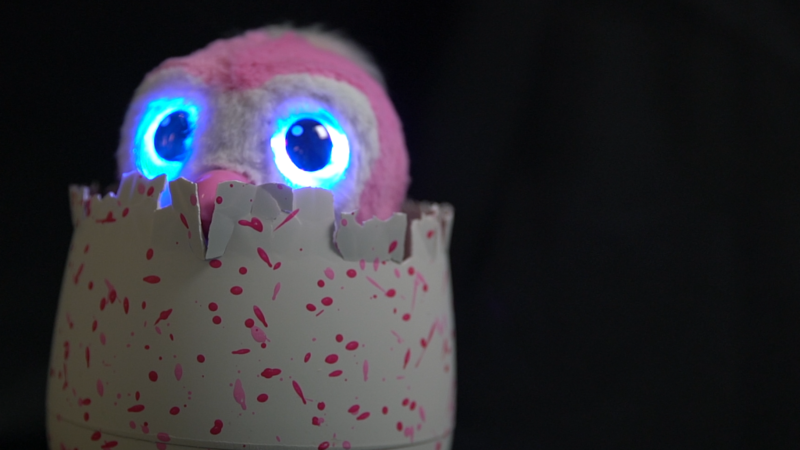 Mike Zappa's 10-year-old daughter told him about Hatchimals in early October after toymaker Spin Master unveiled its latest innovation to the public. "She told me she really wanted one for Christmas," said Zappa, who works in sales with a real estate firm in Phoenix, Arizona. He did a Google search and saw the buzz around Hatchimals. "I had a hunch it would be a big hit for the holidays," he said. 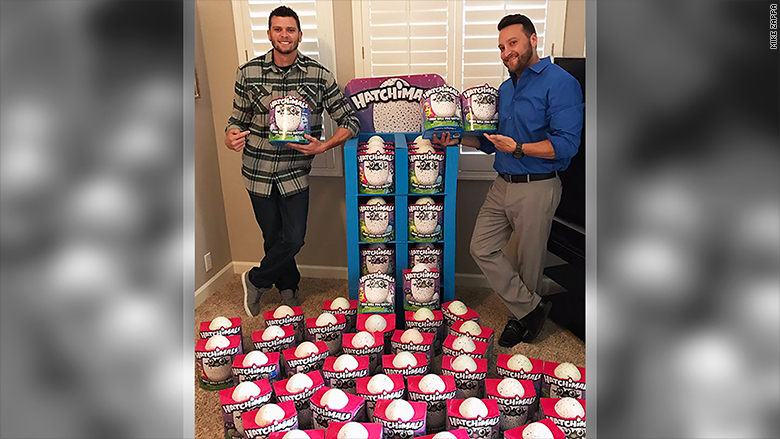 Stan and Mike Zappa with their Hatchimals stockpile. Fast forward to November and retailers are already selling out of Hatchimals a month before Christmas. "We took a big risk with our money and we were right," said Mike. So far, they've sold 30 from their Hatchimals stash on eBay (EBAY) and have recouped their entire investment. Hatchimals are this year's hottest toy. They list the start price on eBay at $60 (the toy's actual price) and let the market take over. "People are bidding as high as $190 to $200 for these," said Mike. "The market value will only go up closer to Christmas." This all could have gone horribly wrong, too. "At the end of the day, $5,000 is a lot of money," said Mike, who's a single father of two. "We were hoping and praying that this was going to be the next big toy." Their family and friends tried to dissuade them initially. "Three weeks ago there wasn't one person we knew who thought this was a great idea," said Stan, who runs his own pest control business in Phoenix. "Even our father called us idiots. Now they can't believe it." They've been spreading the word about their stash on social media. The brothers unsurprisingly have gotten backlash from frustrated parents having a hard time scoring a Hatchimal in stores. "We were expecting this," said Mike. "But we also took a risk. We didn't break any laws. And we aren't dictating how the market is pricing the toys on eBay. What we are doing is capitalism at its best." "This is going to help my kids have a good Christmas," he said. Will they try this again next year? "Chances are slim to none," said Mike. "You don't see something like this happen often."